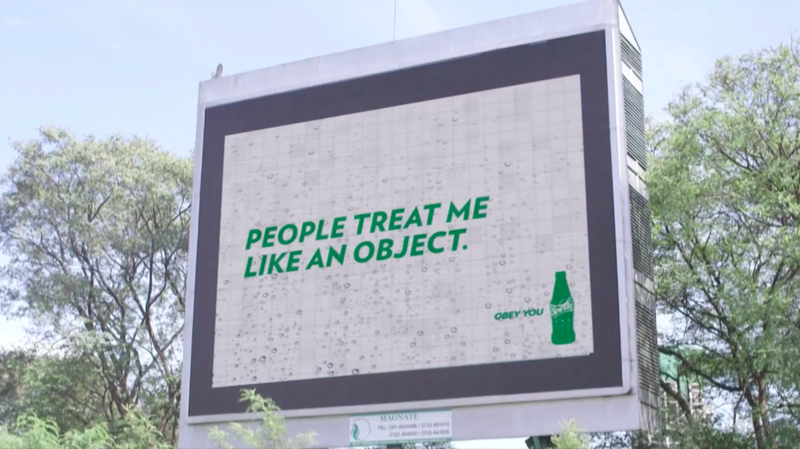 If it's more comedy you want from your billboard, Sprite is happy to oblige. Ogilvy Kenya recently put up "Bill the Billboard" at a busy intersection in Nairobi, and programmed him to endlessly crack jokes. He's sort of an outdoor version of the famous Pringles banner ad from 2009, offering seemingly stream-of-consciousness quips to keep viewers entertained. The jokes aren't exactly side-splitting, and the case study's boast that Bill is the "first ad ever with mental issues" isn't exactly P.C. But at least he's a little different than your typical boring digital ad.